It’s the best mattress guarantee in the industry, made possible by manufacturing our own mattresses and designing them to be adjustable. Unlimited Comfort exclusive Comfort Adjustment service is a cost-effective way for you to get comfortable again – without having to buy a new mattress. 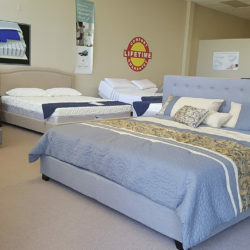 Every Unlimited Comfort mattress is made in our local factory and sold exclusively in our showroom. All our mattresses are adjustable ready, and made to address different sleep needs. 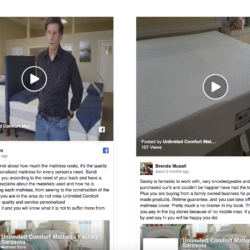 Looking for a new mattress or headboard set? The Sleep You Need For a Better Life! Save big by buying Factory Direct no middle man. no money down 0% financing and free delivery and set-up. 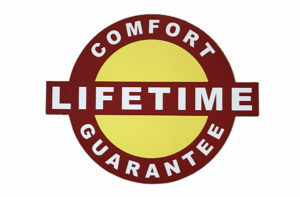 Sleep even better with our Lifetime Comfort Guarantee. It's the best mattress guarantee in the industry, made possible by manufacturing our own mattresses and designing them to be adjustable. If your mattress feels too firm - no problem. We'll adjust it. Too soft? We got it. We'll perform our exclusive Comfort Adjustment service even if there's nothing technically wrong with your mattress. All that matters is your comfort and how it feels to you. And, we'll continue to adjust it for the lifetime of your mattress. Your body, lifestyle and comfort preferences can change throughout the years. We believe your mattress should keep up with those changes. Unlimited Comfort exclusive Comfort Adjustment service is a cost-effective way for you to get comfortable again – without having to buy a new mattress. Unlimited Comfort on Herald Tribune! Sandy Rodriguez calls himself “the man of your dreams”. 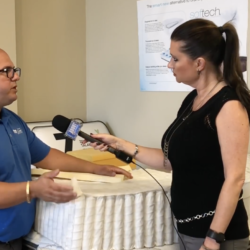 The maker of handcrafted mattresses is a local anomaly in an industry where online companies are flattening mattresses like pancakes, rolling them up like sleeping bags and shipping them to customers before they’ve gotten to try them. Please see the new section of our website with our clients testimonials (use the top menu TESTIMONIALS link to access testimonials section). Unlimited Comfort on SNN News! 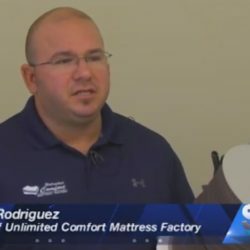 “Comfort is a preference,” says Sandy Rodriguez, the owner of Unlimited Comfort Mattress Factory. 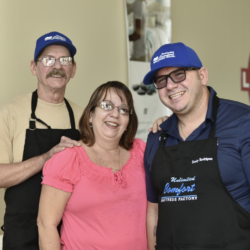 Finding the right mattress isn’t easy, which is why Rodriguez tailors each mattress specifically to his customers. Welcome to Unlimited Comfort website! Our showroom is ready, please visit us today! Copyright © 2016 Unlimited Comfort. Designed by WebsitesFl.com.